My Social Network – application for android and web site! With My Social Network you can easily and simply create your own personal social network. With My Social Network you can publish posts, read the posts of friends, to have a personal conversation with your friends in real time, and more. 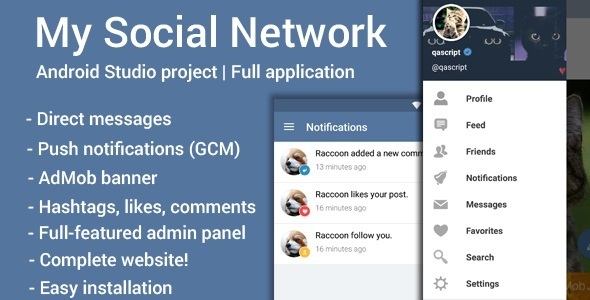 0 Response to "My Social Network (App and Website) v2.3 ~ Codecanyon"